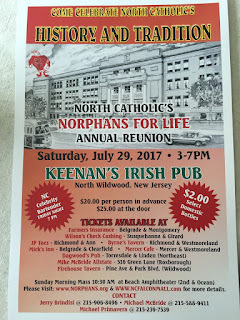 Come one, Come all to the Norphan's Summer Gala, hosted once again by Keenan's Irish Pub in North Wildwood, NJ. Last year over 1,600 strong Falcons and friends celebrated the biggest party on the beach. 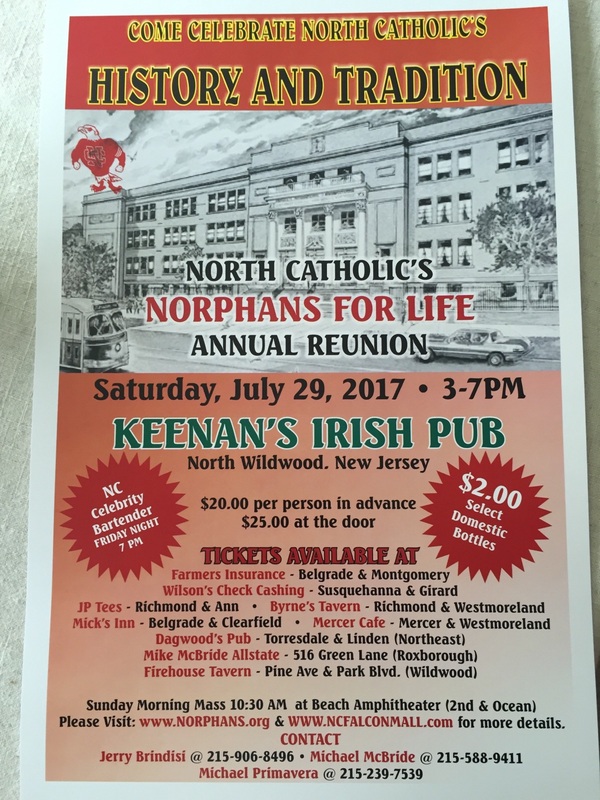 Every cent from YOUR reunion goes to help children afford catholic education in and around Philadelphia. The cost is still an inflation fighting $20 in advance and $25 at the door. We look forward to seeing all of you at YOUR reunion.